The longest heritage railway in Essex, and the closest to London, you can board a vintage bus from the front door of Epping station whisking you back in time to period stations with steam and diesel hauled heritage trains. 16-17, 20, 22-24 Feb. Sat-Sun & BHol Apr-Oct. Also Fri 12, 19 Apr, 31 May, 7 Jun, 19 Jul-Aug, 27 Sep. 30-31 Oct.
We run a fleet of former mainline steam and diesel locomotives which haul a range of period coaches between our beautifully restored period stations. 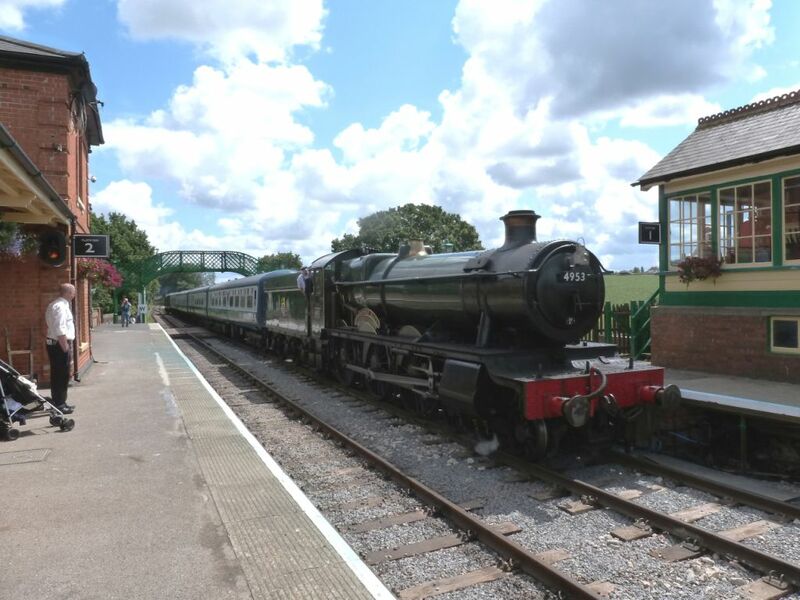 Take your seat in one of our period coaches and watch the train pass through picturesque countryside from Ongar to North Weald, from here you can catch the heritage rail shuttle which takes you through Epping Forest, where we regularly see deer and a wide range of wildlife. Spotters guides are in our Guide Book! The railway runs a heritage bus to Epping Underground station and Epping high street every day we are running, complete with an open platform on the back, and this is timed to neatly connect with our trains. Your great value ticket includes all three heritage transport experiences, with discounts available from our website. Standard travel tickets are valid for travel on our steam and diesel trains, and heritage buses ALL day long. The railway offers you and your family the chance to step back in time to enjoy the romance of heritage travel, an inspiring day out for all ages, the chance to explore the beauty of this area, historic high streets and connects together a wide range of attractions in Epping Forest and its surroundings.